how do you feel about spicy food? that’s a pretty broad term. 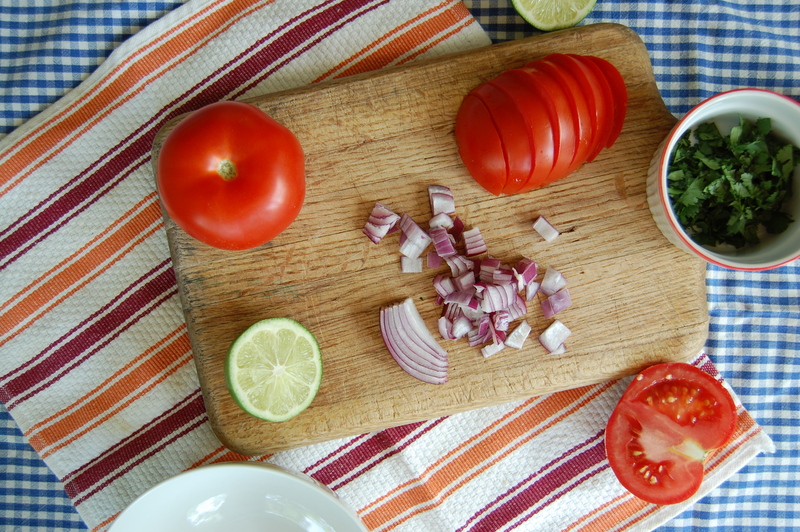 we’re talking food that gives your mouth a red-hot blast of flavor. do you the fierce complexity of a spicy curry? the kick of a jalapeño? the deep intensity of a homemade chili? 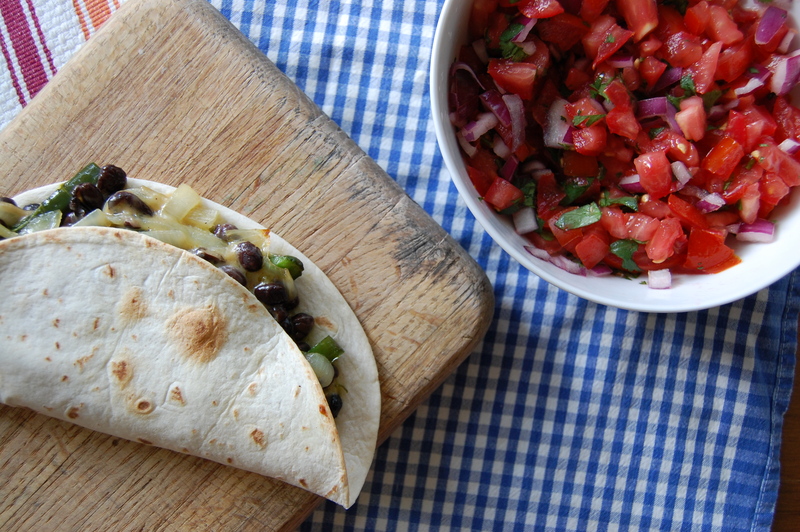 personally, i tend to opt away from super hot, mouth-on-fire, get-me-a-glass-of-milk-stat dishes, but the poblanos in these quesadillas do a lovely job of bringing some heat while remaining balanced by beans and cheese. i took a tamer approach and left jalapeño out of the pico de gallo, but feel free to pump up the spice to your heart’s content. preheat the oven to 425º. put the oil in a large skillet over medium heat. 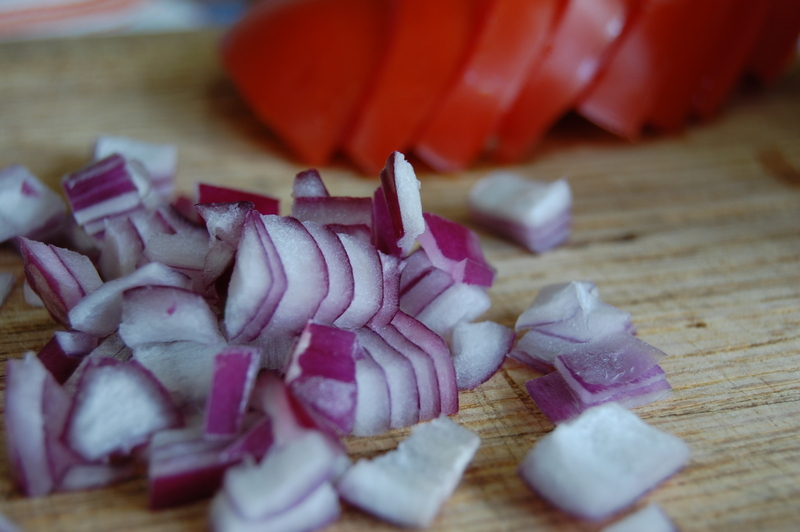 add the peppers, onions, salt, pepper, and cumin, and cook for 20-25 minutes, stirring occasionally. remove from heat and stir in the beans and cheese. 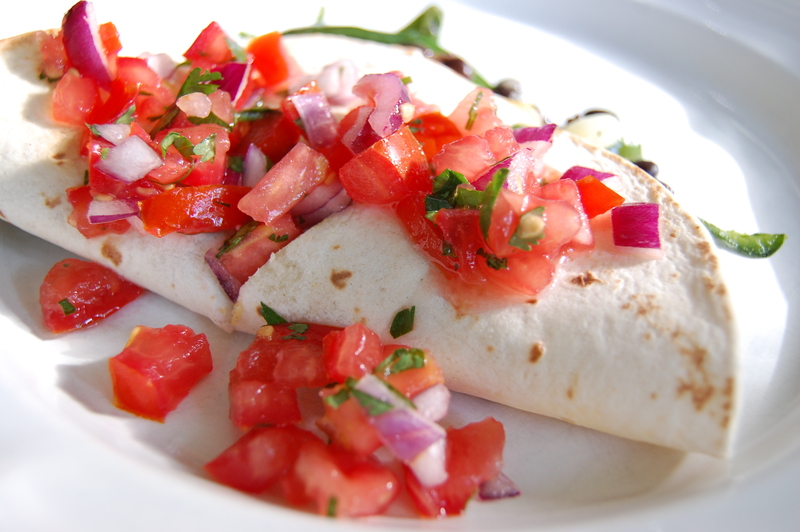 arrange the tortillas on a large baking sheet, and fill each halfway with the pepper mixture. fold the tops over and bake for 5-7 minutes, until the tortillas are golden and the cheese is melted. 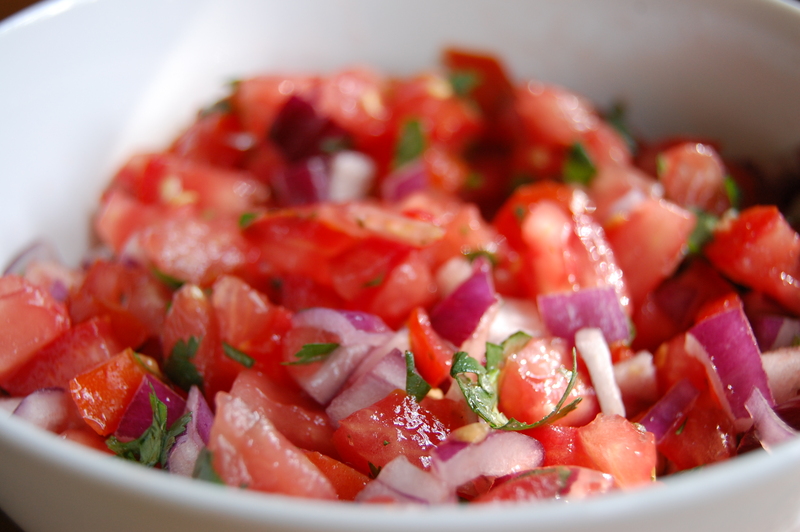 for the pico de gallo, stir all ingredients together and chill until ready to eat. serve outside with chips, mojitos, and music!